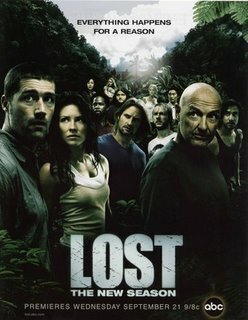 Lost is just such a cool show. Last week's episodes was jaw-dropping, one of those NO WAY!! endings that leave you salivating for the next week to quickly pass. And for us poor saps who have yet to get Tivo, we can now watch missed ones right on ABC's website (which is faster than waiting for a dear husband to get it online, as well). Is it Wednesday yet?? I love Lost! It rocks! We saw it on the website, it does have commercial interruptions, though. So it really isn't as good as downloading them, but since we have to miss it due to life group it will have to do.